A boy and his dog take a walk at dusk, noticing the windows on the buildings in his neighborhood. This is a warm, sweet story that shows if we take the time to observe there is much going on around us. The colors in the beautiful illustrations slowly change to show the passage of time as the day turns into night. Lovely book, which is actually based on a city in my state of Massachusetts, where the author and illustrator live. In the second book in the Wish List series, Isabelle continues her fairy godmother training, but she is now in level two which is proving to be much harder than the first level. 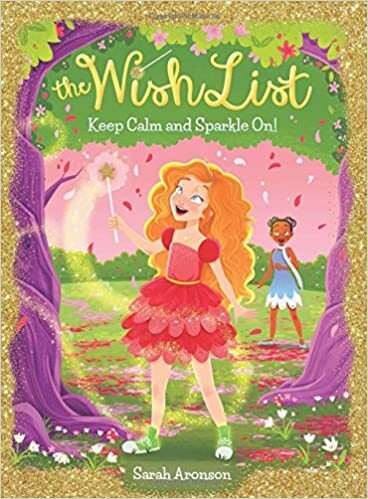 While Isabelle is trying to master her fairy godmother skills, she's also worried that others will find out she broke one of the godmother-in-training rules by leaving a jar of sparkles with Nora, her practice princess who is actually a regular girl. Now Isabelle needs to get her sparkles back and grant a happily-ever-after to her new practice girl without making her friend unhappy. Those who enjoy magic and fantasy will find Isabelle's situation delightful. Even though a fantasy, Isabelle faces realistic problems and situations with friends that young readers will be able to relate. Isabelle is always determined, warm-hearted, and well-intentioned as she figures out how to meet the challenges she's given in order to become a fairy godmother. This book publishes in December, but while you wait you could check out the first one in the series, The Worst Fairy Godmother Ever! Caleb has cystic fibrosis. One day he is out walking in the woods and he meets Kit. Kit is mysterious and intriguing and Caleb is quickly drawn to her. The two become friends and their friendship gives Caleb an escape from his overprotective mother, his perfect brother, and his distant father. As Kit's family situation is slowly revealed to Caleb, it becomes apparent that she has secrets of her own. This is a book that can help readers build understanding and empathy for those who are facing difficult situations. It also shows the power of friendship. I had to read this book quickly because I have students who have been eagerly waiting for this one after reading the first Dream Jumper book. Ben learned in book one that he is a dream jumper, meaning he can jump into other's dreams and save them. 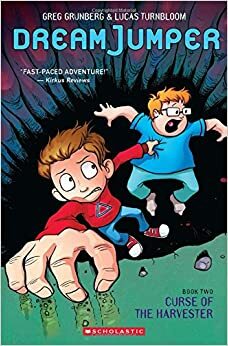 Ben and his friend, Jake, continue their dream adventures in this book and Ben faces some threatening challenges. There is lots of excitement, action, and interesting characters. Based on the ending, I believe there will be a third book, and hopefully there is because the first student who borrowed the book is already asking about it. This is an enchanting, magical, and chilling fantasy that publishes in January. You can read more of my thoughts about the book here. I liked Windows a lot. 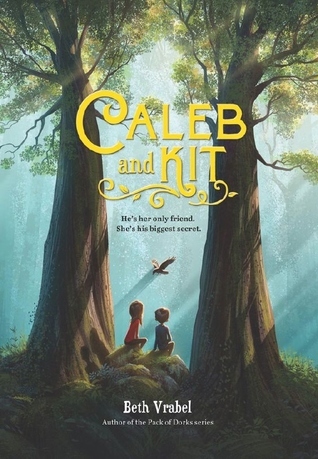 Thanks for sharing Caleb and Kit, sounds like another book that will be nice for kids to read, teachers, too. Windows is one of those books I want to read over and over again! Oooh, I haven't seen the Dream Jumper books, but I can think of quite a few kids who'll be drawn to them! I gave it to a student to read and other students were really disappointed they couldn't be first! I am excited to read the second Wish List, really loved the first one! I had to do the same thing with the second Dream Jumpers! You'll enjoy the second Wish List! I'm intrigued by Caleb & Kit. Now I just need to finish all the other books I want to read first. 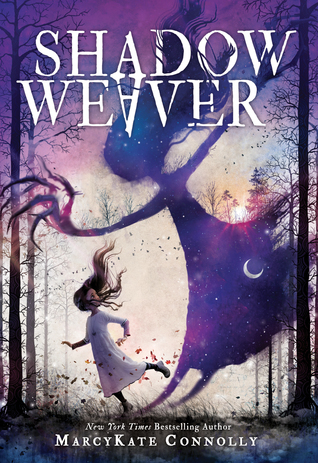 I am looking forward to my turn reading Shadow Weaver. I just picked up Windows from my public library because I keep reading great reviews! Windows is also going to go on my Mock Caldecott list. Can't wait to share it with the students! Calab and Kit is sitting on my nightstand. 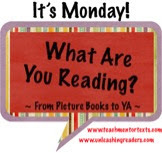 I can't wait to read it this week. I also enjoyed Shadow Weaver. Windows looks like an awesome book! I definitely need to check that one out!